Why plastic pallets? 6 reasons for using a plastic pallet! 1. Operation live: Plastic pallets respectively plastic Euro pallets provide an obviously longer operating life than wood pallets. 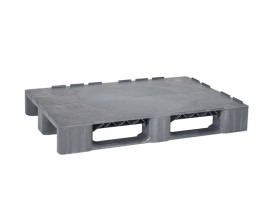 Due to a significantly higher trippage rate, plastic pallets have to be replaced less often. 2. Hygiene: A plastic pallet respectively a plastic Euro pallet is free of mould and fungal infestation. The pallets can be cleaned easily and bacteria have no chance due to the solid design of most of them. 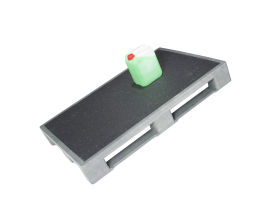 Plastic pallets are perfectly suitable for all those applications for which hygiene is an important factor (e.g. food industry, pharmaceutical industry etc.). 3. Export: As no pesticides can settle on plastic pallets no cost-intensive fumigation and corresponding documents for export are required. 4. Injuries and damages: Plastic pallets respectively plastic Euro pallets have no protruding nails or splints which can damage the goods or even employees. 5. Tare weight: In most cases plastic pallets respectively plastic Euro pallets are lighter than comparable wood pallets. In any case, however, they are weight-neutral, which means e.g. that even when stored outside, the weight of plastic pallets is not increased by absorbed water. 6. Sustainability: Nearly all scrap is recycled and returned to the production process. 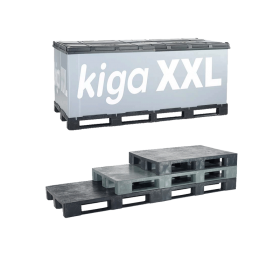 Therefore, pallets made of recycled plastics are especially environment-friendly.